An everyday life's Odyssey » Reading after work. Reading after work. Shanghai, China. The old colonial French district in Shanghai is one of the wealthiest of the city, with lots of bars, restaurants, luxury malls and shops, … There are even blocks with the old French name, such as “Cité Bourgogne”. The latter looked a lot like the old workers district in northern France, 2 stories high houses built with bricks. 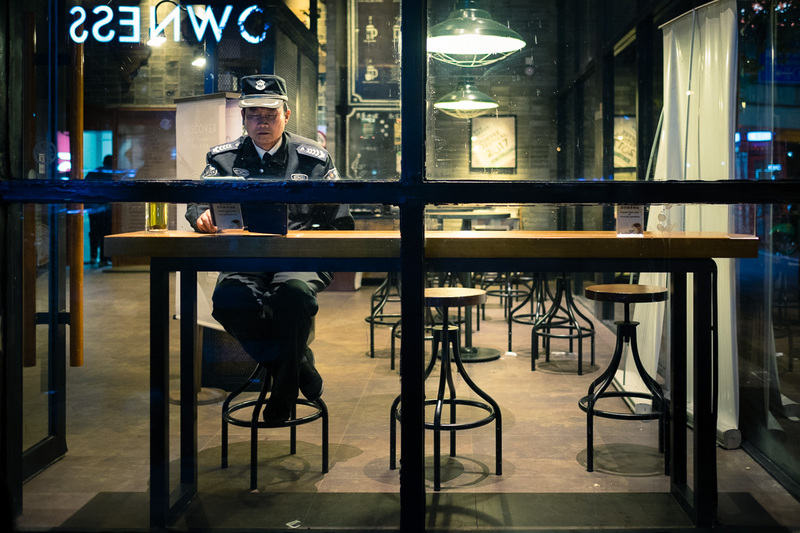 After a long stroll, on my back to my hostel, I noticed this policeman alone in a quiet coffee shop, reading. Ce matin, j’ai decouvert un oeuf avec deux jaunes!!! C’etait premier fois dans ma vie! !